This streaming TV web app offers you an easy way to access top rated streaming TV sites. And you can instantly access some of the best online TV show and movie sites, or Roku channels with the push of a button on this web app remote control. Launch our remote streaming app in your web browser and you will have instant access to some of the best online streaming sites. It's great for finding content to watch right on your PC, Laptop or Mobile device. And this app also links to some of the best pages on mkvXstream like our popular Roku, Adult and Internet Channels Lists. No installation is needed. It works right from any web browser. Be sure to try it now. It's 100% Free! Try it Now in your web browser. Try our mkvXstream Streaming TV App! 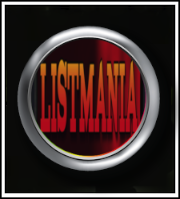 Listmania features Top 10 best sellers from 40 popular Amazon categories. 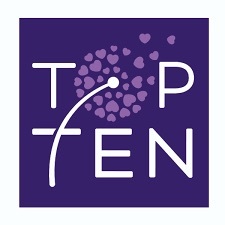 This will quickly help you find top selling items that others are buying. Categories contain Movies, Toys, Electronics, Beauty, Discounts and Deals and plus more. View the Listmania Live app right from your web browser. This app will show you New Releases the Top 100 of the most popular movies and shows. Netflix is one of the most popular streaming providers and has tons of content which is not always easy to find. This app will automatically update itself daily directly from Netflix and help you find something good to watch. 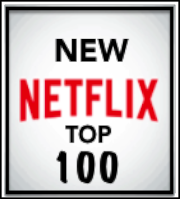 If you don't have an Android device, you can still Access Netflix Top 100 from your web browser. Also, be sure to check out these Netflix Tweak, Tips and WebApps that will help make Netflix even better. This app is for our Adult readers only. 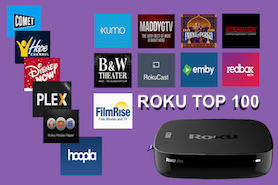 It lists all the private adult Roku channels which are not publicly listed by Roku. Channel links are included so you can add these channels to your Roku right from this app. It also lists many popular adult websites which can be viewed free from your any device that can use a web browser. If you are an Adult, you can access this Adult Channel Guide right from your web browser by clicking here. 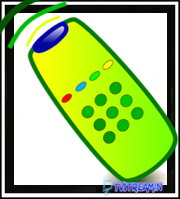 Get the Free Adult TV Remote App!